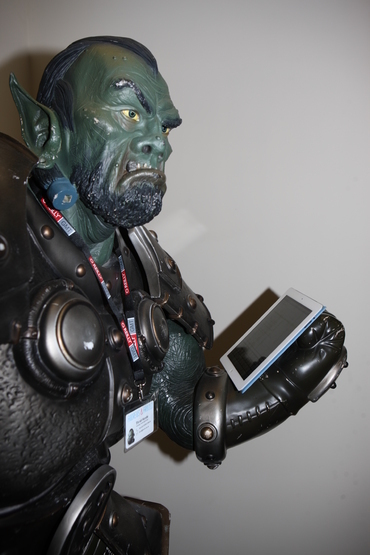 Thrall's fingers are too fat to use it! And what do you mean? £659.00 and my first born child, where is that in the small print. Oh, right, next to handing over my soul, gotcha. Actually, people asked me why two of us queued and only got two iPads when we could have got two per person. Well, it was James I took, and he is my first born child, but somehow they let me off that bit.